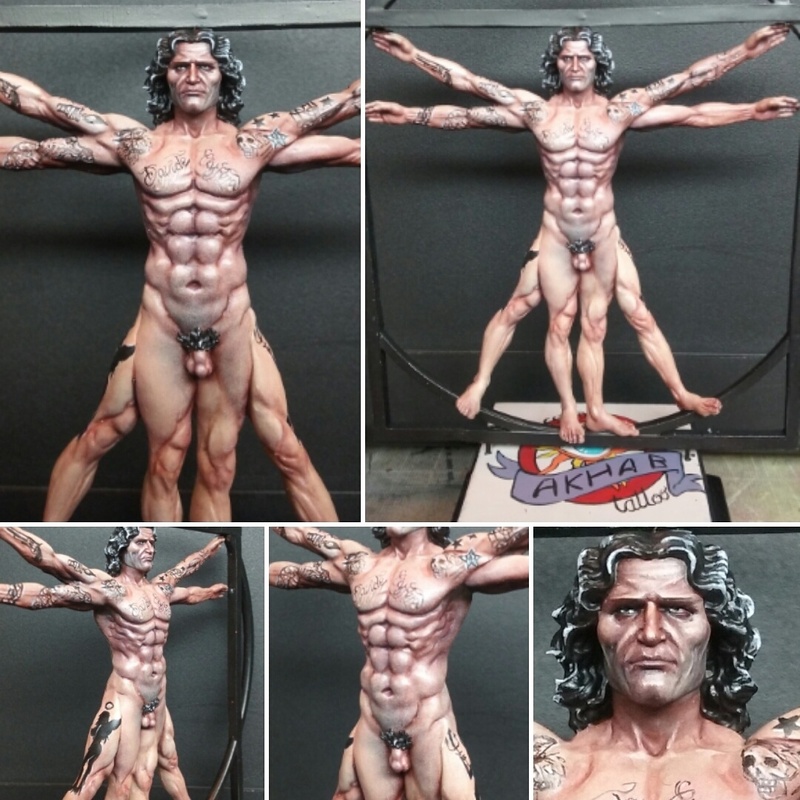 I painted this Vitruvian Man from Joaquin Palacios studio as a gift for my tattooist and friend David Careers. The base has the logo of his incredible tattoo studio "Akhab tattoo studio" painted on it. Thanks for all the ink Davide! I added the tattoos to honour my friend. I always loved this project, nice work ! Thank you my friend! It was a lot of fun and a gift from the heart to the man who has spent so much time tattooing me! Hahahaha thankyou my friend! Keep up the excellent work! Thank you master!!! Your work is an inspiration!! Oh yeeeah glad to see you’ve bounced back….your bulletproof mate..don’t forget that…and your painting rocks ..gold. Many thanks John!! I’m happy to finally be back.